Following extraordinary activity the past fortnight on the former Conquest Club/White Lodge Club/Pyrene Sports Ground where its new owner, not satisfied with their many new hectares, decided to nick another belonging to the community, spoiling the view from 177 to 211 Syon Lane, wasting public money on an illegal structure and getting off on the wrong foot with hundreds of residents. 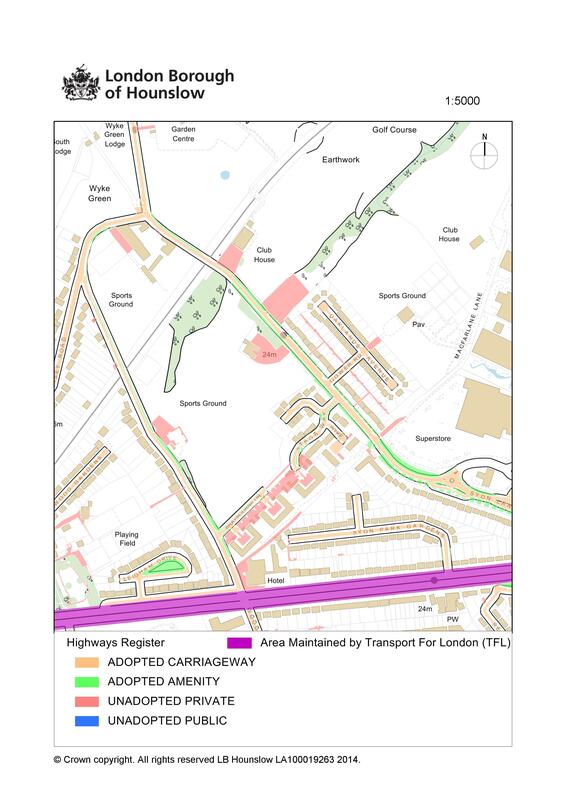 An extract from the Highways Register for this neighbourhood can be seen below, the hoarding is currently located on the west side of Syon Lane opposite Gower Road and runs north to the Piccadilly Line bridge. When promoting these expensive schools, the last government said operators would use redundant public buildings and previous developed sites such as space at Commerce Road and Brentford police station or Gillette. For us locally, this has turned out to be a con, in addition to this sports ground earmarked for the Nishkam Trust and Brent Lea Recreation Ground for Floreat Brentford another piece of local Metropolitan Open Land in Osterley & Spring Grove is being mooted for a further free school. The former Conquest Club and playing fields between Wood Lane and Syon Lane appeared sold by the Earl of Jersey’s Juant Investments Limited (registered in Jersey) to free school quango the Education Funding Agency just before the general election was called. Obviously a beneficiary of his ancestors’ participation in the enclosures where land owners appropriated land under government authority and turfed off the little folk, at least local people were allowed on unhindered for recreation. Fast forward 350 years and there’s a new lord of the manor, feted and sanctioned by Cameron D, Gove M, McCleod M, Villiers T etc. 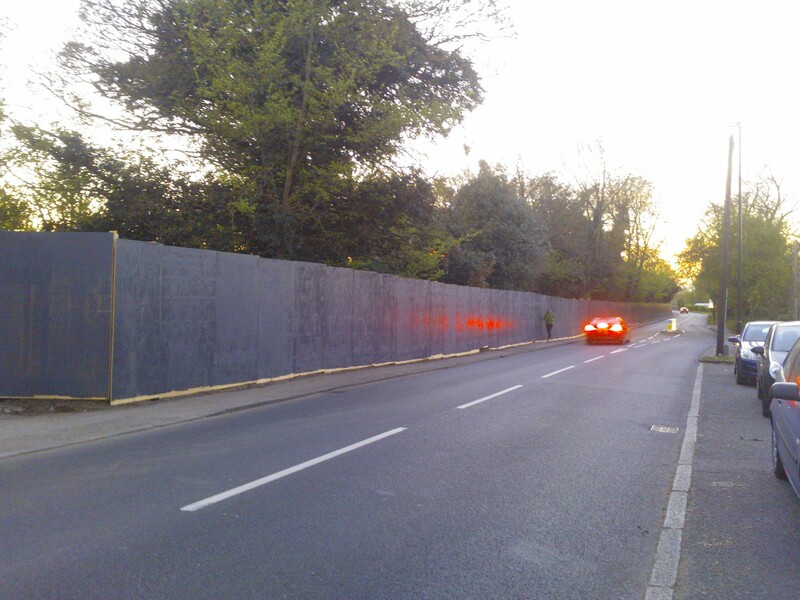 The EFA, not content with what they have possibly paid a beyond market value for (and without planning consent), have now illegally appropriated Hounslow Council owned land to build an illegally tall and view spoiling fence, ignoring the one metre required distance from the narrow pavement on Syon Lane – no planning permission sought and no interest in what residents have to say or think. All done before either they or Nishkam Trust have submitted their planning application to build a school for 1400 pupils. Conservative election literature chirps on about free schools whilst neighbours of the former Conquest Club have to put up with the loud barking of unattended guard dogs. 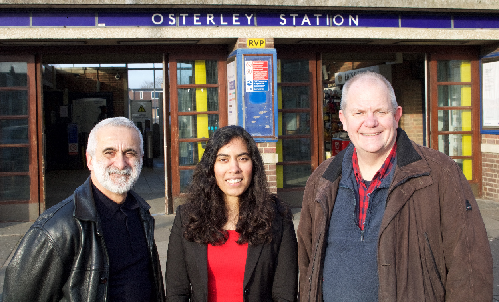 If you would like to be kept informed or share information on what’s taking place around the open spaces of Osterley & Spring Grove Ward please get in touch.